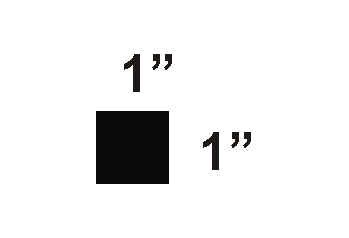 These SOLAS products are coated with Magic Black and are Covert, they will not reflect in the visible spectrum. The 3M SOLAS reflects brightly when viewed with night vision equipment. Notice: 3M discontinued Solas 6750I on May 31, 2016. In order to meet the demand Anytime sign has made a substitute for it Magic Black SolasX Gold. Magic Black SolasX Gold is slightly more rigid and more likely to have a more pronounced hexagon texture. Magic Black SolasX Gold has higher pricing due to the added handling involved in the manufacturing process. 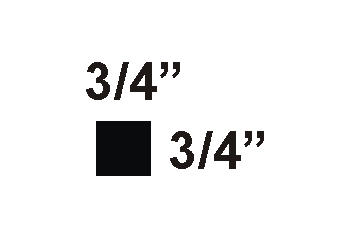 3M SOLAS with Magic Black, many sizes available in Velcro backed SOLAS, Magic Black SolasX Gold ( replacing Solas 6750I), sew-on fabric SOLAS 6755 and stick-on adhesive SOLAS 3150A . Notice: 3M discontinued Solas 6750I on May 31, 2016. In order to meet the demand Anytime sign has made a substitute for it. REFLECTIVE Solas Gold is slightly more rigid and more likely to have a more pronounced hexagon texture. RAW SOLAS Gold has higher pricing due to the added handling involved in the manufacturing process. 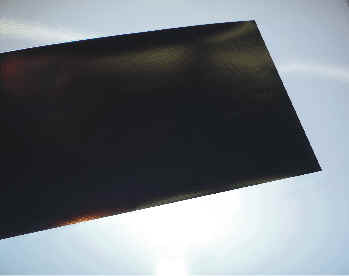 Magic Black Infrared Reflective Sheeting is made with either SOLAS or ECONOMY reflective backing. The magnet is the highest quality 30 mil magnet made for use on vehicles that travel on bumpy roads at high speeds. 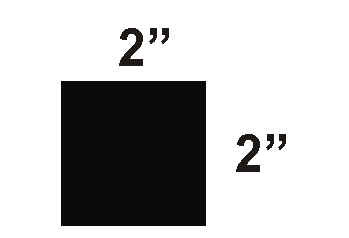 Military Grade Magic Magic Black Infrared Reflective Magnetic Sheeting is made with SOLAS. 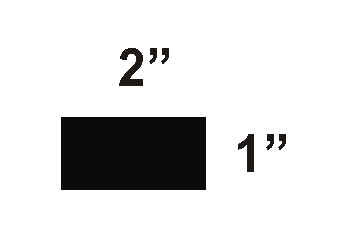 The Magic Black Economy Infrared Reflective Magnetic Sheeting is made with 3M reflective sheeting. SOLAS sheeting is visible from helicopter heights. The Economy sheeting look is as reflective as SOLAS only up to 30 feet. After 30 feet, SOLAS is far more visble than the Economy sheeting. Military applications usually require SOLAS. 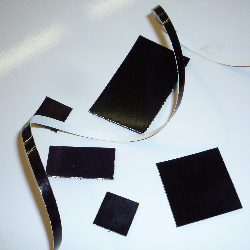 If you are not sure which product will work for your application, order the Magic Black Infrared Reflective Sheeting Sample Kit for $18 with free shipping. 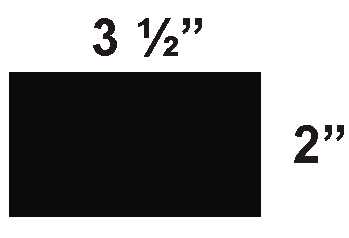 The kit comes with a 9" x 3" piece of SOLAS and a 9" x 3" piece of Economy Magic Black Infrared Reflective Magnetic Sheeting.